I cooked again tonight, for the 3rd time, and only used one fuel cube! 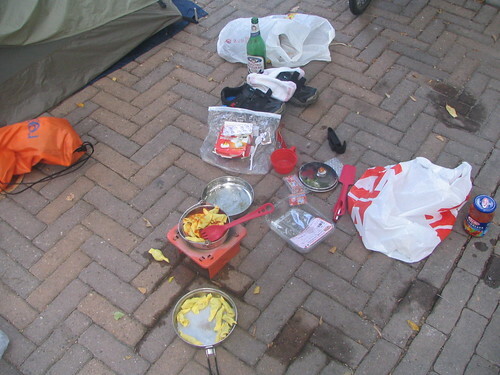 I am getting to be quite the outdoor gourmet. remember when u cooked me dinner. remember when we ate at iHop. remember me from such great films like “get faster”. Are you going to be able to live in doors when you come back? What is that you are cooking? Mango slices?